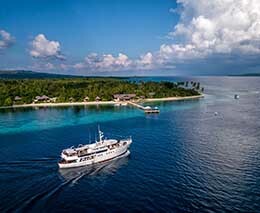 Wakatobi – resort or liveaboard? Both! If you know what you want from your scuba diving Indonesia, and you know which region you’re after, select from the Quicklinks top right. 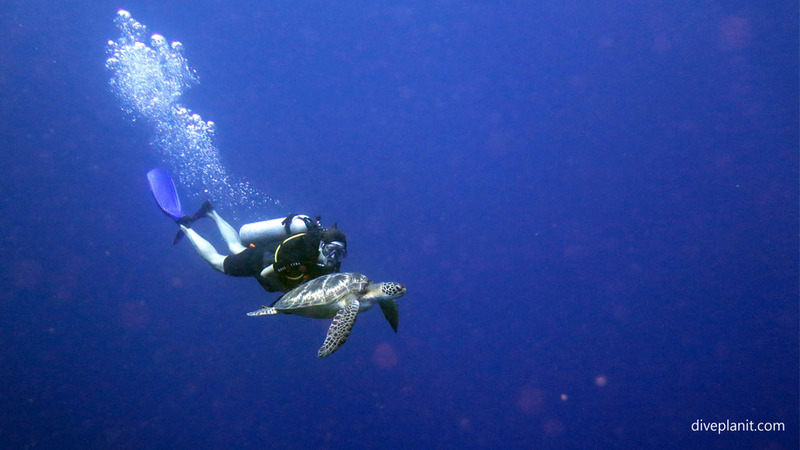 If you’re new to diving Indonesia and looking for some inspiration – read on. 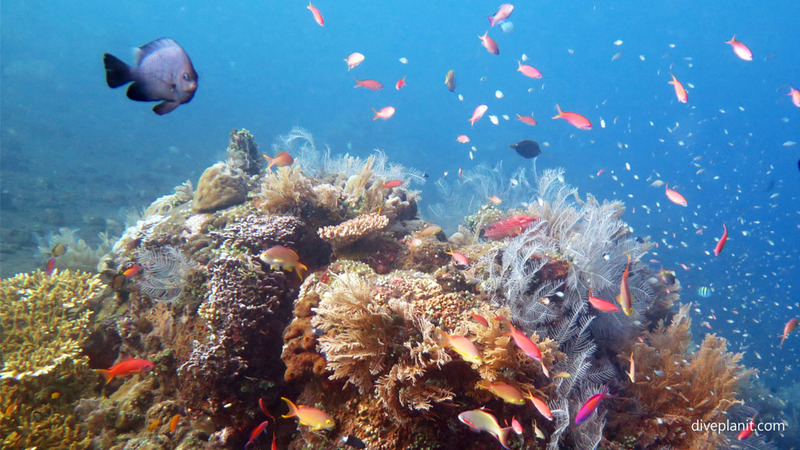 Smack bang in the centre of the Coral Triangle, diving Indonesia delivers the biggest biodiversity on the planet: more than 3,000 species of fish alone, not including the corals, plants, crustaceans, worms, nudis and other, some as yet undefined, critters to be encountered there. The 17,007 islands which span one eighth of the planet’s circumference, offer some of the world’s best dive sites: from mola-mola to mantas, spectacular coral reefs to wrecks and plenty of muck diving too. 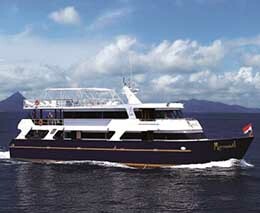 There are dive sites to suit all experiences, and dive resorts and liveaboards to suit all budgets. 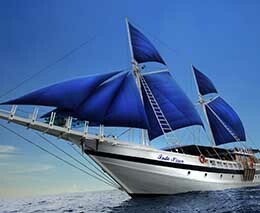 You could spend a lifetime diving Indonesia – the hardest bit is to work out where to go first or next! Image courtesy of Reef Check. 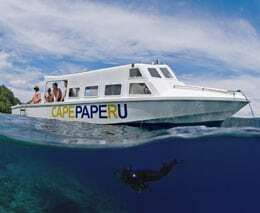 Browse the different kinds of diving on offer in the Dive Sites section, then deep dive into that region to see who can take you diving there and where to stay. Or send us an enquiry and we can help you find the best place for you. Indonesia’s southern arc of islands lies along the boundary of the Eurasian and Australian tectonic plates – which accounts for the 150 or so active volcanoes. This same arc of islands forms the boundary between the Indian Ocean and the Pacific Ocean, and because of deep water currents moving bodies of water steadily around globe, there is a steady flow – referred to as the Indonesian Throughflow – of around 15 million cubic metres per second of the Pacific flowing into the Indian Ocean. Depending on the narrowness of the gap between the islands this flow can create a water current averaging up to 0.6 mph. That being the average, current in specific areas can be significantly higher. So though this brings you the world’s biggest and best biodiversity, it’s also the reason for the occasional news story “More divers lost in Bali”. 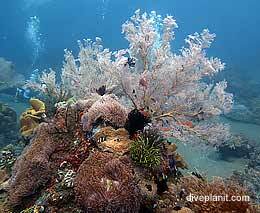 Hence when researching who can take you diving in are region in Indonesia, we recommend you choose carefully. There are different ways of diving Indonesia. Let’s consider each in turn. The dive resorts pretty much have you as a captive audience throughout your stay – so spend a little time researching the resort – assuming you’ve already selected your destination. Pictures speak volumes – can you see yourself in those photos? 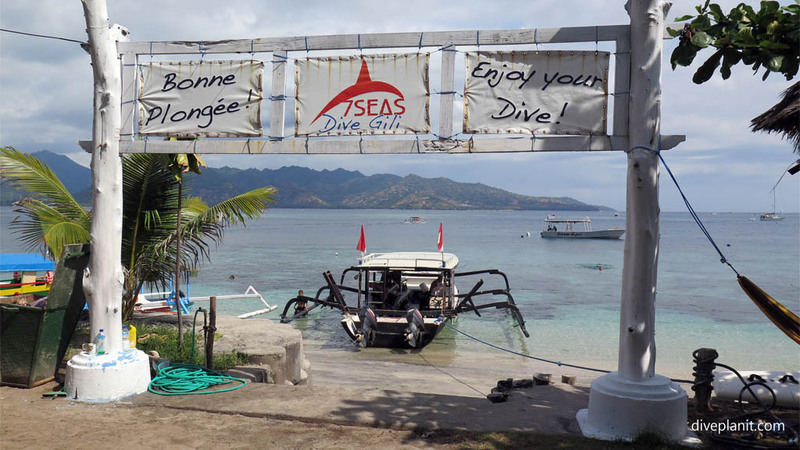 The obvious benefits of resort diving are that once you’ve arrived, you can spread your gear out and chillax. No time wasted commuting to dive sites, warm shower as soon as you get back from a dive, charge everything to the room – it’s a home from home. Bundle and save: it’s a dive holiday. If you are staying for a week, you’ll dive at least a dozen sites, some which might look a little bit like others; some you might dive twice. You can expect a resort to organise any transfers, and cater to some of your less obvious demands or ‘intolerances’, given notice. Dive centres offer trips, typically, but not always, leaving from their Dive Centre to a specific dive destination, usually determined a few days prior depending on conditions and the requests of clients, or the requirements of their trainees. 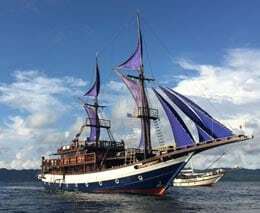 If you are not in Indonesia on a I-am-diving-every-possible-day basis, you can tee up a dive day with one dive centre, and if you like their style, book a couple more. If you only have specific days available, but you really want to visit specific sites, you should phone around. Don’t assume the closest dive centre to your hotel will be the best; and do assume the cheapest won’t be! 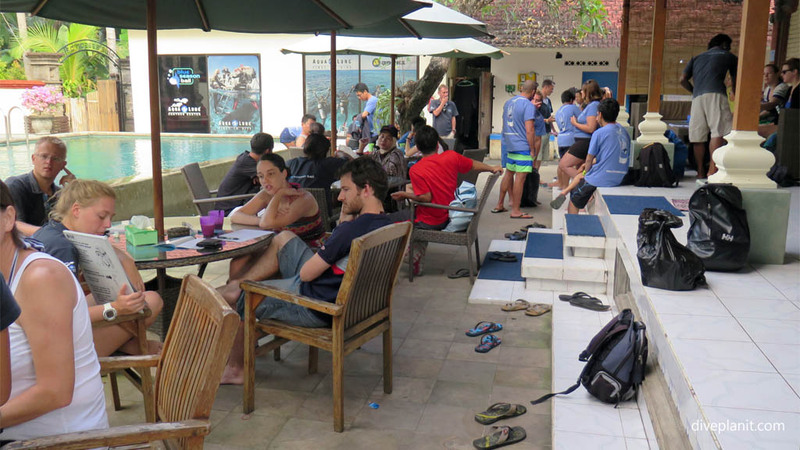 A great example of such a dive centre is Blue Season in Bali. Life on the ocean wave is not for everyone. Most trips are for a minimum of 5 nights, and you will be thrown together with your shipmates for much of that time. In most situations, a camaraderie develops amongst the like-minded which can lead to life-long (Facebook) friendships. In the odd situation, you might need to escape to the foredeck or retreat to your cabin if you are not particularly enamoured with your shipmates’ behaviour. Though modern liveaboards are very well appointed, quarters can be a little cramped at times. There is always a sea breeze, and rarely mosquitos or the lingering aroma from nearby drains. Knowing that you are an even more captive audience than at a resort, the meals tend to be very good, and coordinated with your diving. On a liveaboard you can often pack in three or four dives per day, where resorts might limit to two, with an occasional night dive. 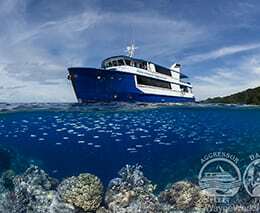 The Liveaboard package usually includes transfers, and may also include a one-way flight back to your origin if you are not returning to the same port. 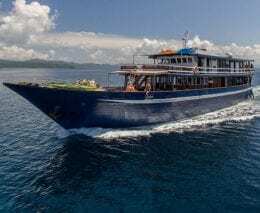 Probably not limited to Indonesia, but certainly befitting Indonesia’s wide flung geography, there are dive companies who specialise in dive safaris. 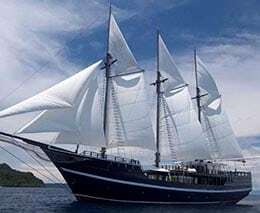 They allow you to design your own itinerary and their dive guides will remain with you for most of your trip, or personally hand you over to a liveaboard with whom they have a partnership. 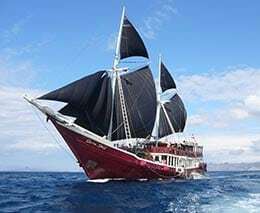 This enables you to book a longer itinerary allowing you to cover more than one of Indonesia’s many diving destinations without having to worry about travelling independently between them, with all the hassle that that can involve. 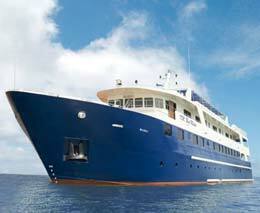 If you want to cover a couple of dive destinations – just drop us an enquiry and we can help you plan it. What’s the diver to guide ratio? What brand and model of computer will I get with the regs? How many persons is the boat surveyed for, and how many do you take? Which days each week to you go dive site xyz? Be specific, and if the answers are vague, well that speaks volumes. Do they participate in clean-ups or contribute to reef restoration efforts? How do they source their power and water? What do they do with their waste? What proportion of staff are from local communities? Do they contribute to, or participate in, local community projects? To browse our selected dive centres, dive resorts and dive liveaboards, select your dive region of interest and you’ll find them all listed by region. 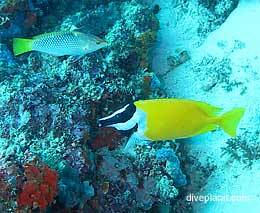 There is no exhaustive list of Indonesian dive sites. 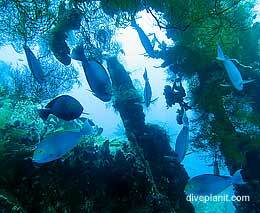 There isn’t even an exhaustive list of dive areas. 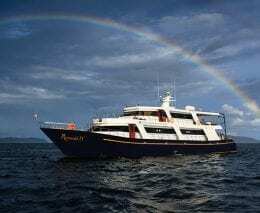 Dive operations are opening in, and liveaboards are giving access to, new areas, and new dive sites are being discovered all the time, even at existing resorts. 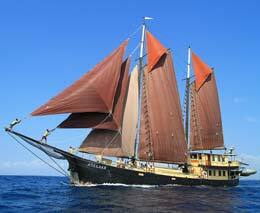 Bali is very accessible and has a feel that could hardly be described as mainstream Indonesia. 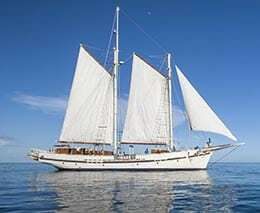 It sits on the west of the Lombok Strait where the water is heading south. Much of its coastline is the edge of a volcano – one in particular – which means that you have black sand shelving steadily. This makes for great muck diving. 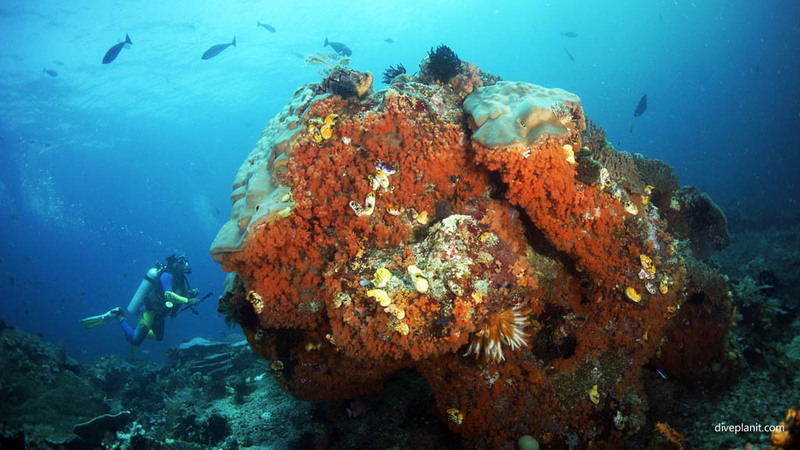 There are exceptions to this where rocky outcrops have allowed reefs to form, such as Gili Selang, or wrecks like the USAT Liberty have developed into artificial reefs, or around Menjangan Island in the north west, or where bio-rock reefs are being created (successfully) artificially, such as in Pemuteran. The Nusa Penida group of islands is a rocky outcrop with steep drop-offs. Here you will find fringing reefs in sheltered areas, and pelagics visiting in-shore where that is close to a drop-off. It is also where you will find the Mola Mola – a fish really high up on the weirdness scale. 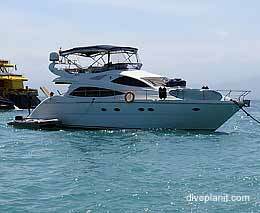 For Resorts and Liveaboards visit the Bali and Menjangan pages. 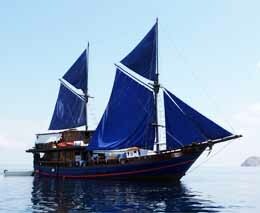 Though possibly best known for being on the back-packer trail, the three Gili Islands are well-served by numerous dive operators. Unfortunately a lot of coral has been destroyed by unlawful fishing practices in the past, though many excellent dive sites still remain: there are walls and channels, plenty of turtles, and you will see sharks at the aptly named Shark Point. 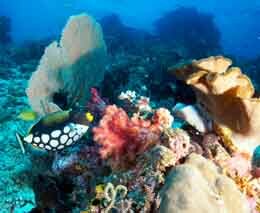 Efforts have been underway since 2000 to restore the reefs with many bio-rock installations already yielding fruit. 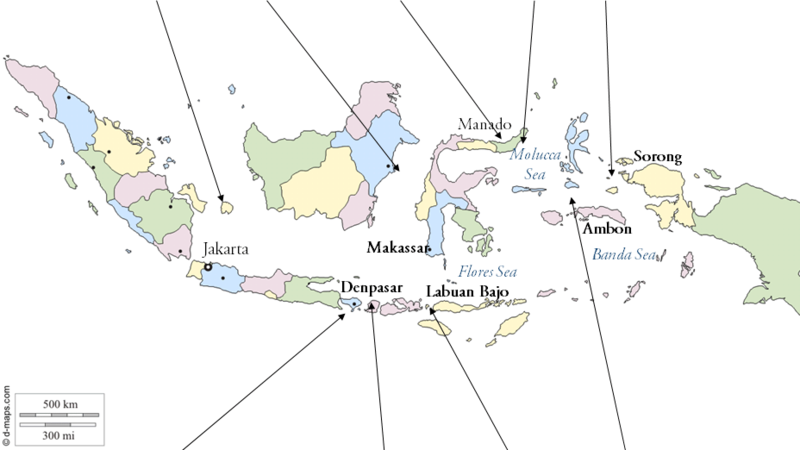 The main settlement on Lombok is Mataram, and 12km south is Sekotong Bay. The bay itself offers sheltered diving, but the closer you get to Bangko-Bangko – the western most point – the stronger the currents will get. 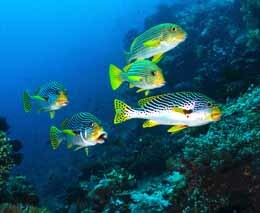 The best diving is along the southern edge of Lombok which has steep drop-offs and sheltered bays. Typically, there are currents flowing towards the west, so any of the sites exposed to this current, notably The Magnet and The Cathedral, will provide challenging, yet rewarding, diving. When we say challenging we mean negative entry into strong current, and when we say rewarding we mean eagle rays, schools of tuna, reef sharks and hammerhead sharks. Elsewhere, in the many sheltered bays, especially Belongas Bay and up near Kuta the diving varies according to site and offers coral gardens, walls and caves where you can see anything from the big stuff taking shelter from the current, through the usual mid-sized reef fish down to sea snakes and pygmy seahorses and nudis. 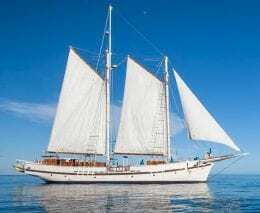 The Adelaar Liveaboard includes this southern coastal route on its December and January sailings and is one of the best ways to explore these sites that few will ever dive. 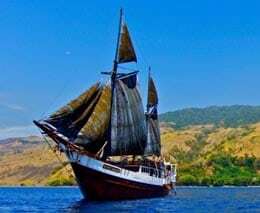 The Komodo National Park incorporates the three main islands of Komodo, Pinca and Padar. The rugged hillsides of dry savannah of these islands contrast starkly with the brilliant white (and pink!) 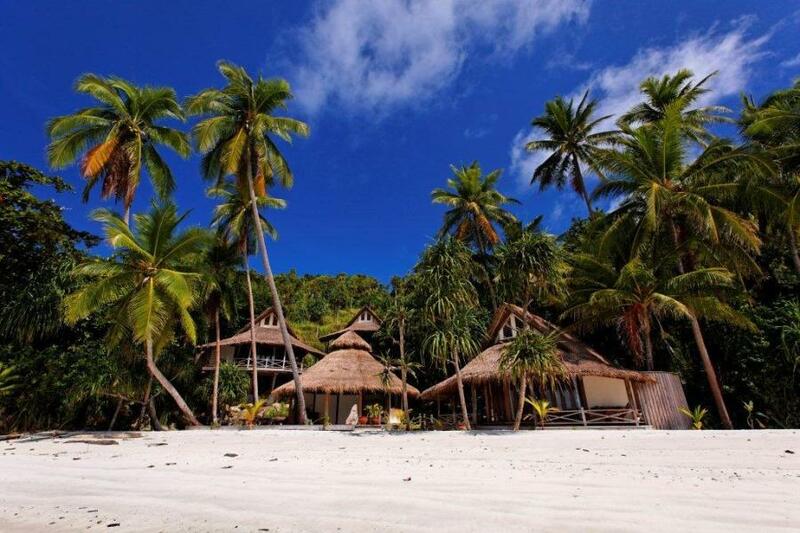 sandy beaches and the blue waters surging over coral reefs. As a result, the underwater terrain is also varied with sheer cliff walls, pinnacles, channels, sandy flat bottoms, underwater plateaus and slopes which make for a marine environment rich in many habitats including coral reefs, mangroves, seagrass beds, seamounts, and semi-enclosed bays. 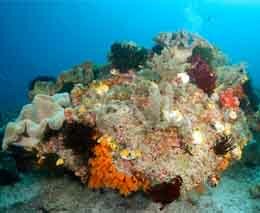 This diverse habitat supports an even more diverse fauna with over a 1,000 fish species and 100’s of corals and sponges. 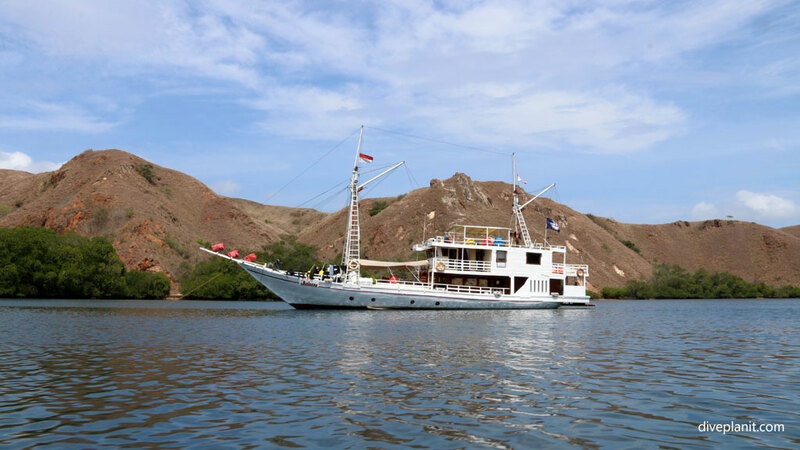 As well as the little stuff like nudis and pygmy seahorses, dugongs, sharks, manta rays, whales, dolphins, and turtles also make Komodo National Park their home. Note that the North and South parts of the National Park have different environments, water temperatures, vis, and windy seasons. 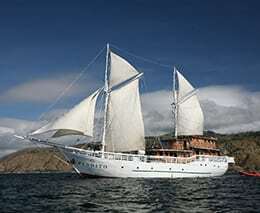 For Resorts and Liveaboards visit the Komodo page. 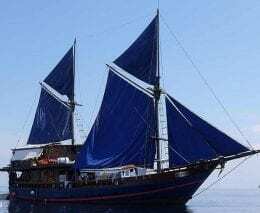 The Strait between Alor Island and Pandar Island to its west offers world class diving, though it should be noted that currents can be strong and surface conditions potentially rough. However, the strong currents that attract the big fish like Whitetips, Grey Reef Sharks and tuna, and even Sunfish, Mantas and Whalesharks can be seen if you are there at the right time and lucky. It is also possible to snorkel with pilot whales that hunt in the waters between Pantar and Alor. Access is via the main town of Kalabahi, which is 12 km from Mali Airport on the northern tip of Pulau Alor. 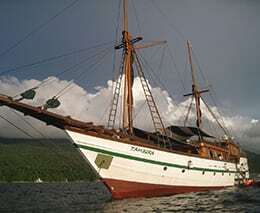 Ambon is an island within the Maluku group known historically as the spice islands. 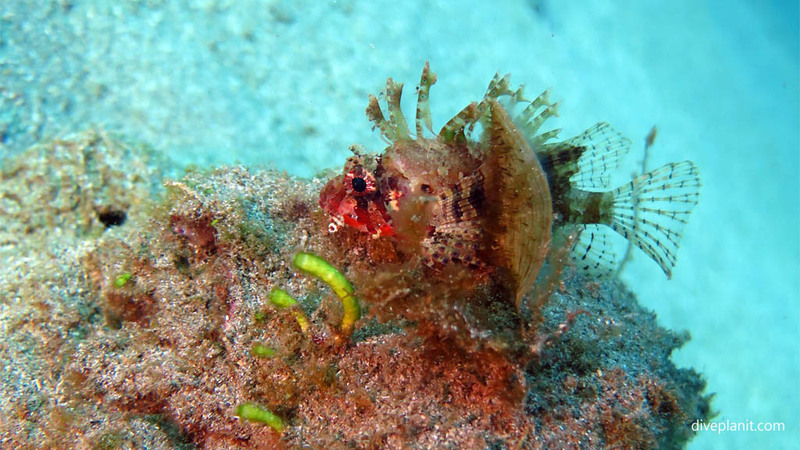 This is another area renowned for its muck diving, but also the very strange critters to be found there such as the Rhinopias, Mandarinfish and frogfish. 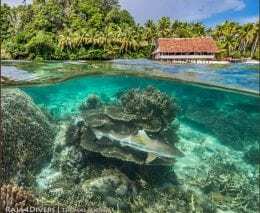 Being both remote, and having one of the lowest population densities makes Raja Ampat simply stunning in respect of the unspoilt nature of the marine environment. 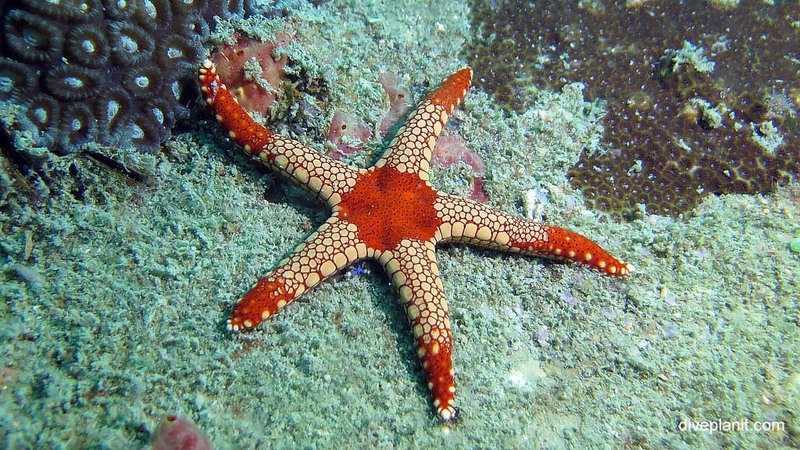 In recognition of this national treasure, several Marine Protected Areas have been established. 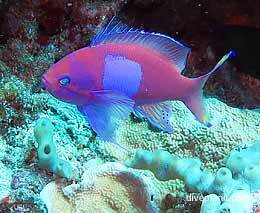 It breaks records for biodiversity of all types of species from coral to fish. Here you will see the big and the small and in abundance. 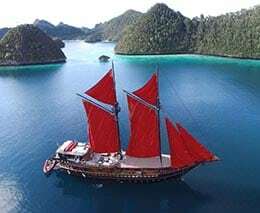 Raja Ampat means Four Kings and refers to the four principal islands of: Batanta, Misool, Salawati and Waigeo (but in fact compromises almost 1500 other islands, atolls and uninhabited limestone outcrops). 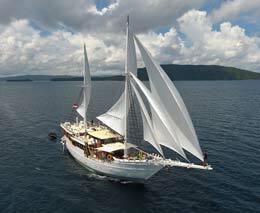 For Resorts and Liveaboards visit the Raja Ampat page. 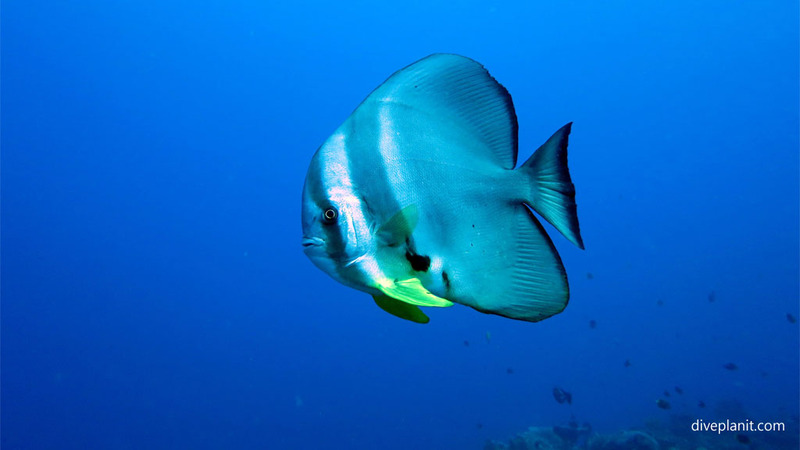 North Sulawesi has three areas of diving, each offering its own unique appeal. The five islands of Bunaken in the Bunaken Marine Park are surrounded by deep trenches providing a constant nutrient-rich water flow around the islands. 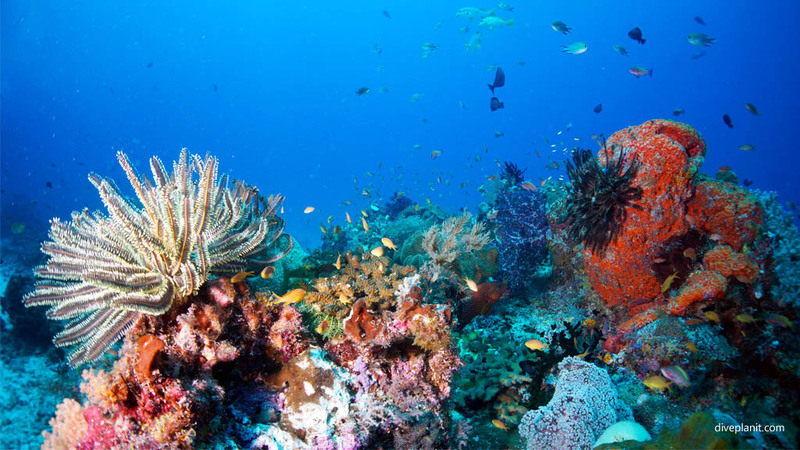 This terrain provides both great walls of hard and soft corals (apparently 300 varieties) and also a rich variety of sealife (1,500 fish species). You’ll find everything from turtles to squat lobsters. 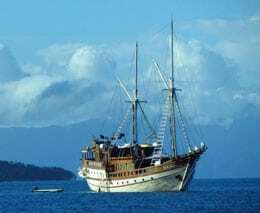 On the less accessible northern tip of North Sulawesi is the island of Bangka which does not drop off so steeply. 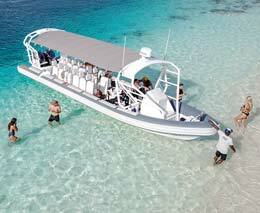 The result is a large area of pristine and magnificent coral formations and abundant reef life. On the eastern side of North Sulawesi lies the island of Lembeh. The strait between the island and the mainland is arguably the black sand muck diving capital of Indonesia. There are 40 odd sites offering relatively calm and shallow conditions, perfect for photographing the weird and wonderful critters to be found there. 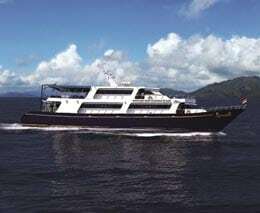 The diving is not limited to black sand – there are also wrecks, pinnacles and coral gardens. 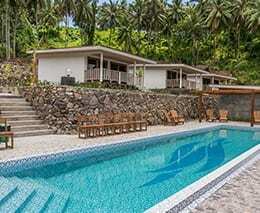 For Resorts around North Sulawesi including Lembeh, visit the Sulawesi page. Derawan Island is in the province of East Kalimantan in Indonesia. 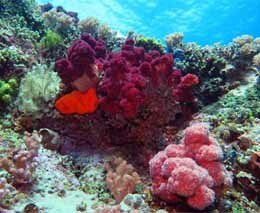 The dive area includes submerged reefs and off-shore islets Sangalaki, Kakaban, Maratua, Panjang and Samama. Another world class diving destination, but beware of both strong currents and up- and down-wellings. 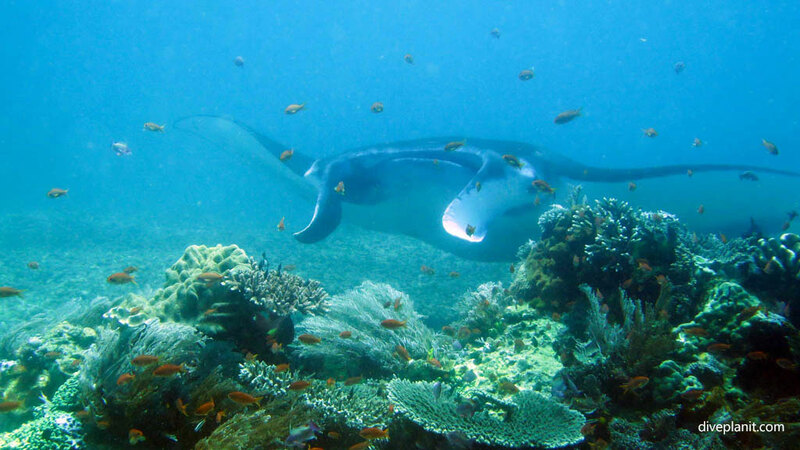 Similar to Nusa Penida, some sites are famous for large gatherings of manta rays. For those who’d prefer to gentle snorkel, there is also a jellyfish lake with harmless jettyfish. Not so easy to get to though: first get to Berau, then 2 hours by road; or go to Tarakan, in Northern Kalimantan, and then south 3-4 hours by speed boat. 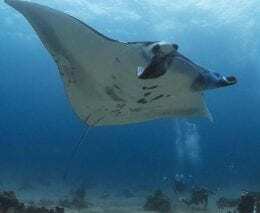 Not really in the top Ten, but if you find yourself in Jakarta for a short period of time, this is still a diving option just a short flight away. Indonesia is well represented by its national motto: “Bhinneka Tunggal Ika” which literally means: ‘many, yet one’. Indeed there are many – it is the fourth most populous country on earth, with over 250 million people, from over 300 ethnic groups, spread over 17 thousand islands, lying either side of the equator, which from west to east span over one eighth of the circumference of the earth. Before you go, it’s always a good idea to browse your own government’s website to see whether there are specific issues for your particular destination(s). Here’s a link to the Australian Government’s Smartraveller website which tends to be pretty comprehensive for Indonesia as it’s such a big destination for Australians. The entry and exit requirements for Indonesia used to be relatively inflexible, complex and expensive, but thankfully now they are just inflexible. Visa Regulations are based on your passport / nationality, with 140 nationalities requiring no Visa; that’s right: free entry for a maximum stay of 30 days. Passport must always be valid for 6 months from day of arrival. No exceptions. Keep a page on passport empty for stamp or visa sticker! Day of arrival counts as day one, day of departure counts as full day. A Free Entry Stamp cannot be extended, and there’s a penalty fee for overstaying of IDR 300,000 per day. The currency of Indonesia is the Rupiah. In round numbers AU$1 = 10,000 IDR. Credit cards, US$ and AU$ are widely accepted, obviously less so the further off the beaten track you go. Check with your resort or operator in advance, and carry cash only as required. Local ATM’s will usually dispense local currency against a Visa or Mastercard, but sometimes, with maddening randomness, they won’t. Standard banking hours are from 8 am to 3 pm from Monday to Friday, though often you can change money at your hotel reception. The Indonesian climate is distinctly tropical. The east monsoon from June to September brings dry weather while the west monsoon from December to March is moisture-laden often bringing rain, with the heaviest rainfalls recorded in December and January. The transitional period between these two are interposed by occasional rain showers. Humidity varies between 60 and 100%. Temperatures vary by location and range from 21°C to 33°C, except at higher altitudes which are much cooler. Dress code is casual for both night and day. Pack t-shirts, shorts, light cotton dresses and swimwear. Sunscreens and hats are a must and joggers or sandals are good protection for walking and swimming around coral. Visitors are asked to be careful not to offend local sensibilities. Wearing bikinis and ultra-brief swimming costumes is fine at a resort but not when visiting villages or shopping in town. Many Indonesians do not eat pork, or drink alcohol, and hence the concept of toasting with a drink is not practiced. Many Indonesia women do not shake hands on greeting; many Indonesia men will shake hands with both hands. During Ramadan, many Indonesian will fast during daylight hours, or certainly not eat in public. Eating, drinking and even smoking in public during this time can be considered impolite at best. It is considered very rude to get angry, but not, for example, to stare. Don’t point with your index finger, try to remember to use your thumb. We recommend you take precautions against being bitten by mosquitoes, including using insect repellent, wearing long light coloured and loose-fitting clothing and ensuring your accommodation is mosquito proof. Tap water is not safe to drink. Unfortunately, bottled water is the only safe option in many places. However, many establishments do now provide water-cooler refill stations so you can refill your own water bottle. It’s handy to have a stainless steel water bottle, as you can fill that with boiled water, seal it, cool it in a sink of cold tap water, and then put it in the fridge. In the event of a medical emergency, contact the local emergency services on 118. Even if you suspect a decompression related injury, go through your local emergency services. You can additionally call the DAN International emergency hotline +1-919-684-9111. 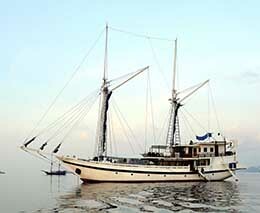 There are decompression chambers in Bali, Jakarta, Manado, Makassar and Kalimantan. WiFi is available in resorts and hotels of any reasonable size. However, it may be restricted to around the lobby area, and you are likely to be sharing the available, fixed, bandwidth with others. Telephone numbers within Indonesia may have between 5 and 8 numbers depending on how old the exchange in that location is. Add to this the area code, and it can get pretty confusing – so always double check the digits and the number of digits if someone gives you a number verbally. The International access code varies depending on the telephone company used by the hotel. Power points in Indonesia are 220-240 volts AC 50Hz with the European two round pins. (Type C, E and F). Some up-market hotels will have multi-sockets, but take at least one adaptor, depending on many gadgets you have. You can also get multi-cord USB adaptors which allow you to charge multiple mobile devices via a single USB power adaptor. Most hotels will add a 10% surcharge to your bill. In restaurants, where no surcharge has been added, 5-10% is the norm. Indonesia’s official English language website. From Australia, Air Asia, Garuda, Qantas and Virgin all fly to Denpasar – and there is disappointingly little difference between their prices. Check the websites of all these carriers for specials. Fares are not as cheap as they used to be, but there are still deals to be had. 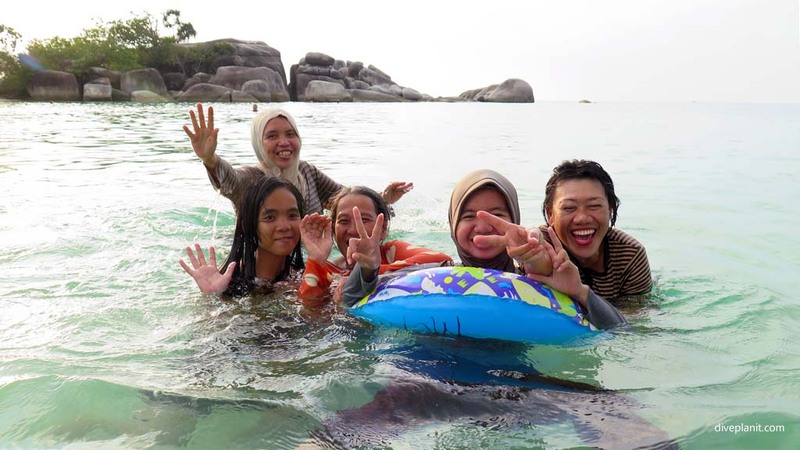 Jakarta is the other main hub into Indonesia, and there may be specials to Jakarta if you can work an itinerary around that, and then you could take in Belitung Island. If you’ve read this far and are exhausted by the possibilities – just drop us an enquiry and we’ll be happy to work with you to create your dream dive holiday. Though the beer is excellent, cold, generally available and reasonably priced, wine can be very expensive.